cuerpo objeto - cuerpo máquina, 2016. 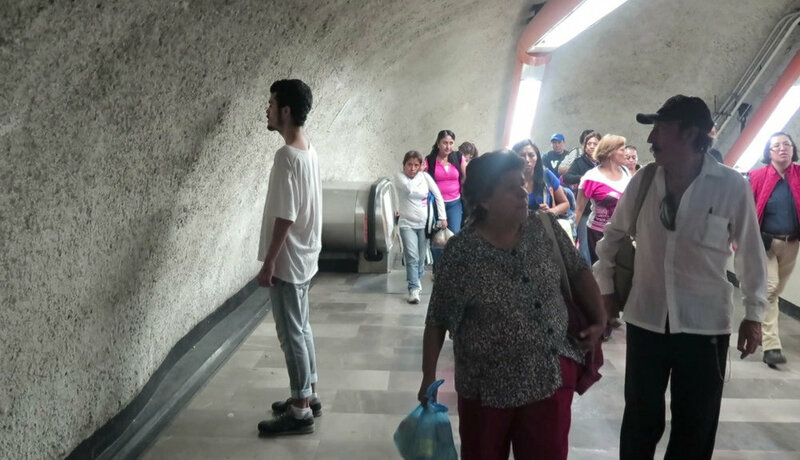 1 hour performance in Metro Tacubaya station, Mexico City. Performers: Emiliano Vázquez and Lucia Hinojosa. Audio installation, headphones, wall, 2016. 7:11 mins on loop. A recreation of the metro station’s wall. The audio is a fragment of the surrounding sounds in the station during the performance. Visitors are invited to hear these sounds while looking at the wall. Installation view. cuerpo objeto - cuerpo máquina, 2016. Two-channel video, 4:20 mins on loop.